Original Orajel toothache & Gum relief cream contain the 20% benzocaine, which instantly relieves the toothache. The menthol in formula soothes the gums by removing the gum irritation. It gives the long lasting result and gives you the relief from severe toothache. 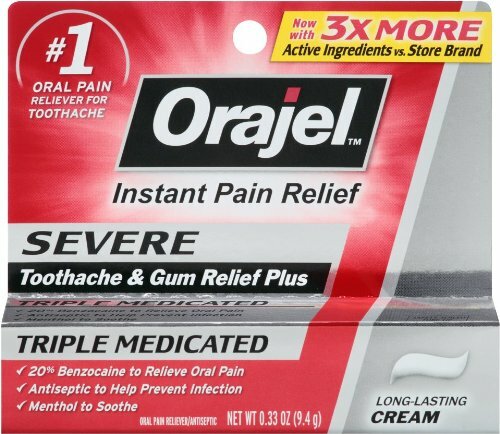 Find and get the 0.33 ounces USA imported Orajel Severe toothache relief cream at best price from Amazon shopping in Pakistan. Order now and obtain it with cash on delivery facility.